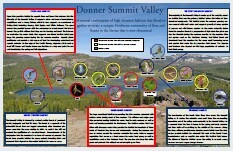 In communications with the Truckee Donner Land Trust it has become clear that part of the rationale for their plan to drain Van Norden Lake is that they claim that getting the water rights to the 50-100 acre-feet of water (depending on whether there were 1 or 2 lakes) that would be sequestered would be prohibitively expensive and very hard to get. This is what I was told and this is also the argument they use in their “white paper” to justify the draining of the lake. I have already made the argument in a previous post for just how minuscule the amount of water we are talking about. TDLT shared the letter that they received from the California State Water Resources Control Board (SWR) from April 30th of this year that lays out the current water rights status (you can read the letter for yourself here). 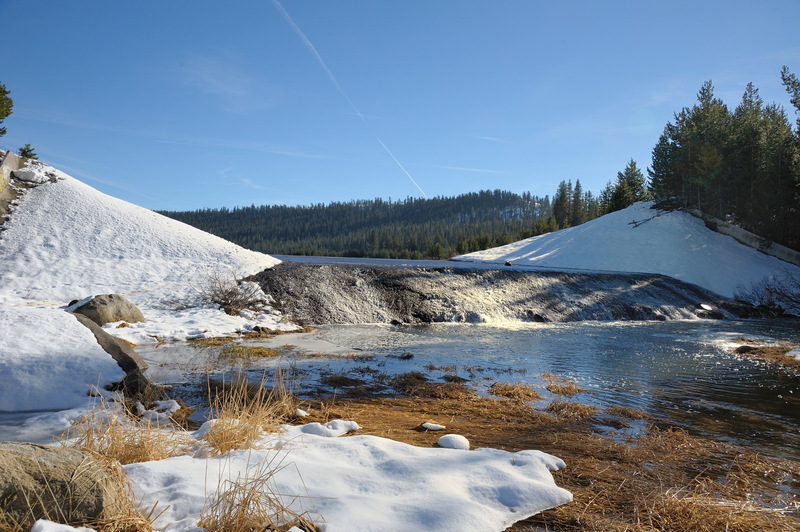 It is clear that currently the water rights for water in the Summit Valley have reverted to the state after PG&E abandoned them in 1976 when they breached the dam. The letter clearly lays out the alternatives for TDLT to proceed and the first one is to apply to SWR for the water rights. The letter also designates a contact, Michael Contreras, at SWR for questions concerning those rights. I called Mr. Contreras last week and asked him directly why it would be so hard to obtain the water rights for Van Norden Lake. I explained to him that I had been told by TDLT that it would “highly unlikely” that they could get the water rights. The first thing Mr Contreras told me is that he was not aware of any inquiries concerning water rights for Van Norden Lake that had been made to their office. When I asked him if it was indeed true that it would be unlikely that water rights for the lake could be obtained he told me that there was no reason that he knew of why the water rights could not be obtained if an application was submitted. I am not saying that he said rights would be granted, but there were no a priori reasons why they would not. My point is you don’t know if you don’t try. That’s right, we are talking about a 1/2 hour of water flowing down the Yuba. Thirty-six minutes out of the nine months that the Yuba flows through Summit Valley. Is this really something that’s going to affect things downstream? The only concerns I have heard from people downstream of the lake is for flood control issues if the dam is removed. Right now Van Norden Lake and wetlands provides a large flood buffer zone that would help to mitigate flooding in the Summit Valley. That discussion, however, is for another post. Obtaining water rights for wildlife and habitat preservation is a very common practice in California. There are hundreds of wild life reserves throughout the state that sequester water to support wetland habitat (check out the Sacramento NWR). While Van Norden Lake is not on the same scale, it still provides refuge to a large array of wildlife. The issue of water rights to justify removing the lake is, excuse the pun, a red herring. 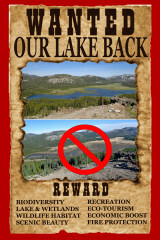 It is however a convenient way to put blinders on and provide cover for removing the lake for the real reason, because the US Forest Service doesn’t want to deal with the issue. That too is for another post.